What kind of China injection mould manufacturer is better? Foreign-funded mould factory have practiced management, improved process, strong sense of service, guaranteed quality and service; but the cost of management and marketing will be high, which means injection mould cost will be relatively high. If you are concerned about the quality of products, and your company has strong financial strength, it is recommended to choose a large-scale foreign injection mould factory! But in reality in general, large-scale foreign injection mould manufacturer has constant foreign customers, domestic companies have fewer chances to achieve an order. Even though they receive domestic-oriented companies' orders, the price with respect the international market, a lot of domestic companies will not be able to bear it. A sophisticated large automotive injection mould may cost millions of dollars, this is an impossible price for most of the Chinese domestic companies! Taiwan and Hong Kong funded injection mould manufacturers management processes are slightly worse than foreign injection mould companies, and the on-site technical guidance documents and staffing is not that completed. But, benefited from decades' earlier industrial development, standardization of management and design philosophies can reach Japan and South Korea. Although the quality and service is slightly less than Europe and America, it still has guarantee. Moreover, the price is not so high like foreign injection mould manufacturers. So, many stronger Chinese domestic companies choose comprehensive Taiwan-funded and Hong Kong-owned factories as long-term mould tooling partners. Most domestic private injection mould factories are founded after China's reform and opening by the first batch of foreign workers of the industry. Regarded as a rising star in the injection mould industry, the domestic private injection mould manufacturers locate in Pearl River Delta, Yangtze River Delta region of Chinese mainland. 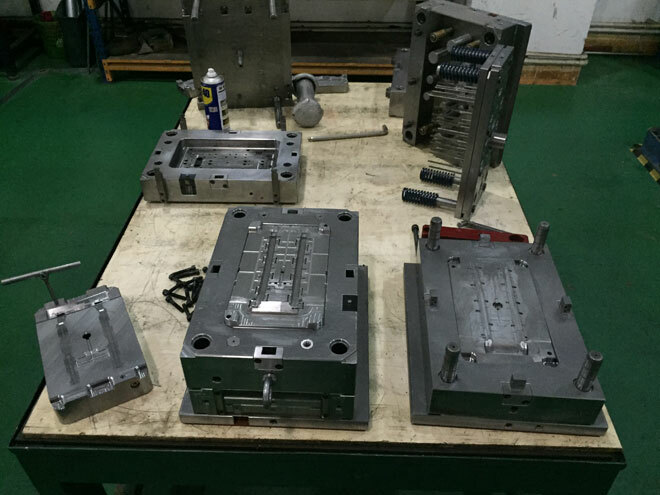 These injection mould manufacturers have lack funds and limited financing channels. Many companies depend on wages savings as the original invested capital. In hardware equipment, management processes, design concept, aspects of the business philosophy, quality consciousness, Chinese domestic private mould manufacturers have disadvantages than the above two types of businesses. And even many domestic injection mould manufacturers option to purchase is not high performance and accuracy class B materials and products used injection mould processing equipment and second-line, and its mould design, manufacturing accuracy, products service life are often fall short of the requirements of customers. But these companies have an innate advantage: because of the low material, management and marketing costs, the price is much lower than foreign, Taiwan and Hong Kong companies. This will often attract the attention of injection mould purchasing staffs. What size of injection mould manufacturer is better? This is a question: Large, medium or small manufacturer? In this respect the choice, personally, I think that is all depends. If the terms of a single plant, we certainly would prefer the bigger the better, because larger scale means greater strength! The size is also indirectly reflects the choice of customer. But from another side, large-scale means higher management cost, the price advantage will not be obvious. Especially, price of large foreign injection mould manufacturers are unacceptable against Chinese, even beyond our offer to customers cost. It is another important issue that if the injection mould company treat you as an important customer. In fact, if you are not strong corporate and the purchase amount is not large, the injection mould manufacturer may not treat you as an important customer. Some time, you may spend your money for nothing. In this case, most people would choose smaller size injection mould manufacturers. In fact, many Chinese companies are doing this in industry. After all, injection mould quality and product prices are easier to be accepted. But, soon you will find that worrying thing again: Whether the mould can be completed on time and how is the quality? How is the injection mould volume productivity? How long is the service life? Be sure to choose a "complete" mould factory, which must have the necessary equipment support of precision CNC machining centers, walking thread cutting, EDM mirror important injection mould spark machine, high speed and high precision injection moulding machine, 3D and 2D measuring instruments. This is the most important thing of your final choice. Because without these devices, the injection mould manufacturer needs to look outward processing, which may lead to three main consequences: First, it will increase your costs; second, it will lengthen the cross-molding cycle, this will very easily lead to tardiness; third, the most terrible is the whole injection mould manufacturer outward processing procedure cannot be timely monitored, the processing may be in roadside stores without any management and quality control. So, you should never blindly seek low prices manufacturers! How to reduce the purchase cost effectively? Personally speaking, you first need to ask the marketing department staff about the expected order amount of the new product. In developing and review stage, if the orders did not reach 50 million or more, it is not recommended to purchase a hard injection mould, the soft injection mould will be enough, which is what we called test injection mould. The soft mould is much cheaper, if the market reaction is not good, this will save up unnecessary costs. 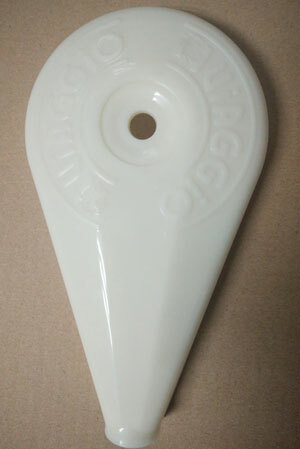 If the product sales good, you can always re-open a hard copy mould. 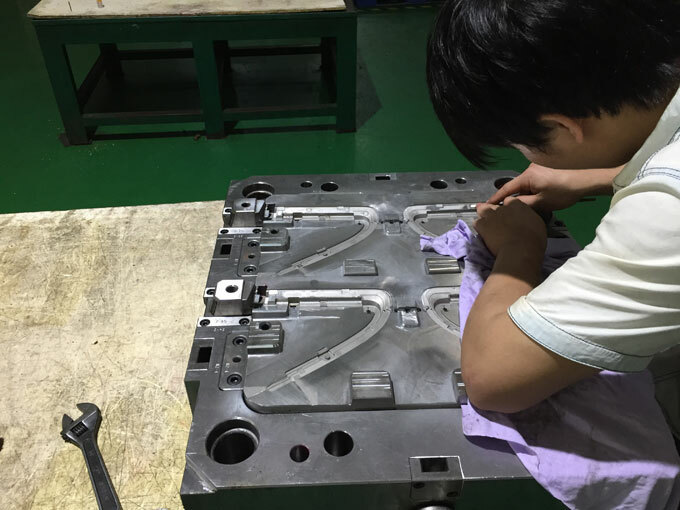 There is another obvious advantage: the first set of injection mould will offer experience for the injection mould manufacturer. 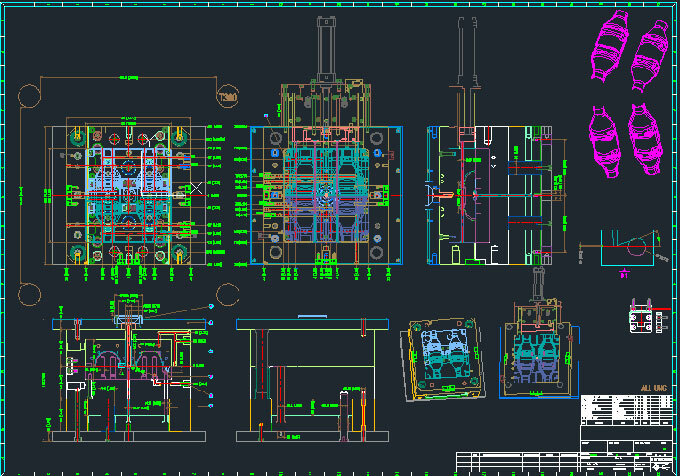 The mould manufacturer can design and produce a better copy mould. Conversely, if you don't know the expected orders, open a hard mould would only increase your costs by at least 1/3. Moreover, in the engineering design phase, you also need to take account the cost of the injection mould. Using S136H, NAK80 as a steel mandrel into the plastic material as well as a fine selection will increase injection mould cost. Do not blindly believe the low purchasing price. Behind the low price, there often hide some invisible traps, like shoddy goods or jerry-built products. 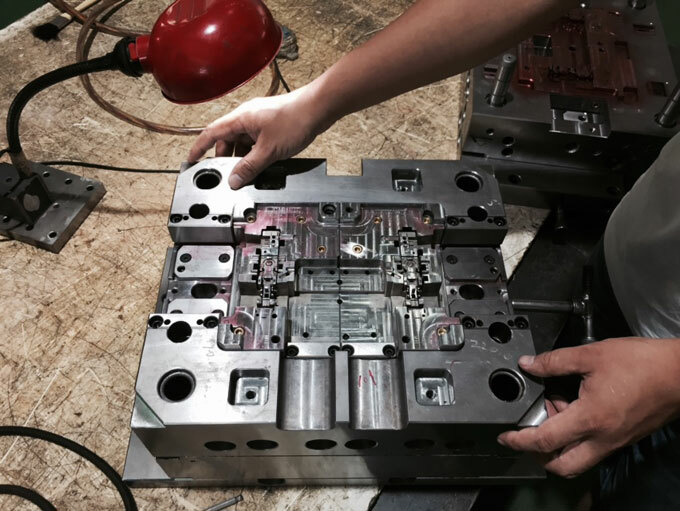 Be sure in looking for injection mould manufacturers with complete equipment, and then choose Taiwan, Hong Kong-funded, Chinese domestic, and medium-sized injection mould manufacturers. Finally, I suggest that in the selection of injection mould manufacturers in China, we should base on our own situation and characteristics, in conjunction with the company's various departments to objectively assess, and finally find out a reasonable selection in the demand for positioning of the injection mould and the product is concerned. In this way, your company may reach more satisfactory effect!